In recent years, the role of religion in influencing international health policy and health services provision has been seen as increasingly important. 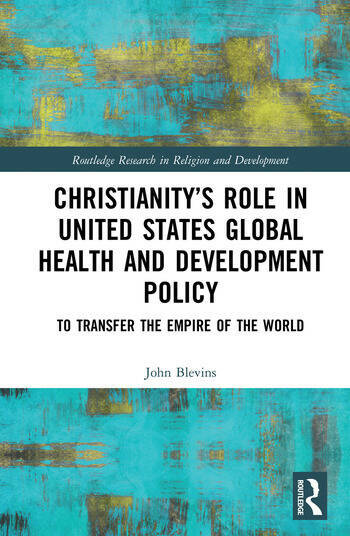 This book provides a social history of the relationship between religion and America's international health policy and practice from the latter 19th century to the present. The book demonstrates that the fields of religion and public health have distinct moral frameworks, each with their own rationales, assumptions, and motivations. While these two frameworks share significant synergies, substantial tensions also exist, which are negotiated in political contexts. The book traces the origins of religion’s influence on public health to the Progressive Era in the latter half of the 19th century, examines tensions that arose in the first half of the 20th century, describes the divorce between religion and international health from the 1940s through the 1980s, identifies the sources of the renewed interest in the relationship between religion and international health, and anticipates the future contours of religion and international health in light of contemporary political and economic forces.While the influence of religion on international health practice and policy in the United States serves as the focus of the book, the effects of US policies on international health policies in general are also explored in depth, especially in the book’s later chapters. This ambitious study of religion’s social history in the United States over the last 150 years will be of interest to researchers in global health, politics, religion and development studies.